But what i really wanted to look at was the association between either insect jumping speed / acceleration with limb length. But also insect jumping ability with adhesive pads, as i suspect that long legs in insects are less for allowing them to jump faster, but rather for allowing them to jump from smooth surfaces without slipping. Although, they do look hilarious when they slip. I want to do this by comparing take off velocity and acceleration in a whole pile of crickets that we find around campus. Insects are very good at clinging to surfaces using their claws. However, this might start becoming a problem as they get bigger. That's because to stick to things with claws they need very fine, sharp claws. But we know from our scaling lectures that as things get bigger the diameter of things is also expected to increase. So how do they do it? 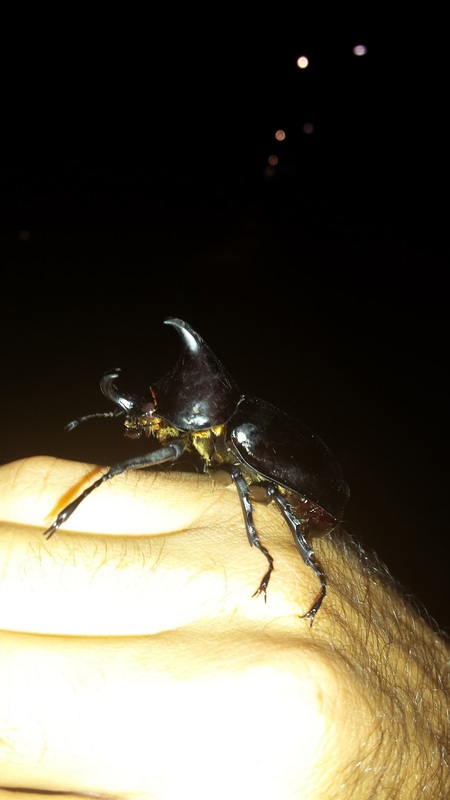 Does claw morphology change with size, or do larger bugs simply stick less well? To answer this we will need a combination of SEM images of insect claws, and some performance estimates of insect sticking ability, probably using something like an insect centrifuge. We currently have a whole stack of rhino beetle grubs which would be great for this project, and are due to hatch out this summer. I have been wondering about this for some time. Often i will come across water dragons in places where there is no water (e.g. 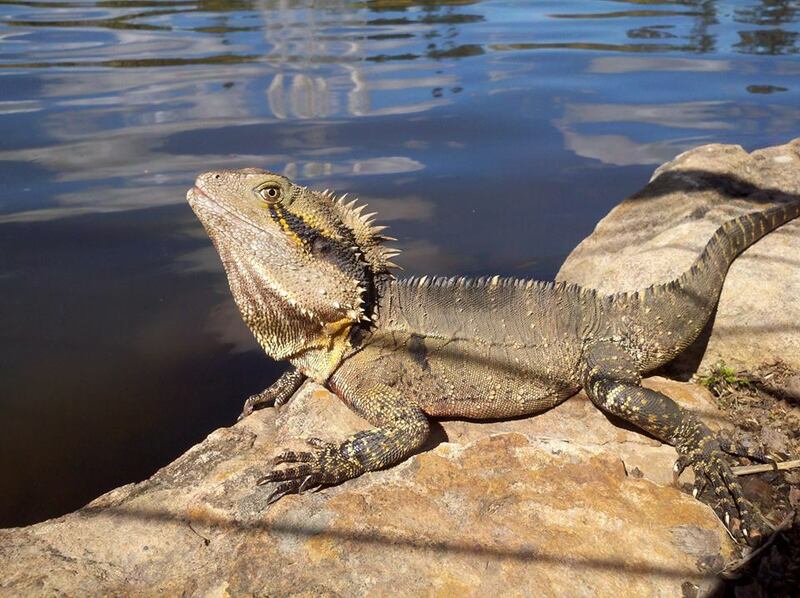 Alexander headland) and other times i come across a nice body of water, but never see any water dragons. (think about all the small lakes on campus). I want to use GIS style mapping in R or other wise to overlay the distribution of water dragons with surface features. The comparison i want to make, is a water dragons preferring habitats on the edge of water bodies, or are water dragons just preferring areas of a steep slope (which just happen to be associated with water bodies, or both? So i have been working on lizards running on two or four legs for some time now, Check this out. I think it tends to be related to the ability of lizards to raise their body centre of mass to get over obstacles. Are bipedal lizards better able to do this? I have collected a stack of data on this, but it needs to be analysed, and maybe to collect more data where parts are missing. The eventual goal is to combine this with data from robots running on two and four legs over obstacles. These robots are currently being constructed by the engineering honours students here at USC. So get on board if lizards are your thing. What i am interested in is how does rotation along the spine in mid-air work? How long does it take, and how might this be affected by body size. I was walking along the rocks of the spit in Mooloolaba on the Sunshine Coast a few weeks (maybe months?) ago, and i saw these little critters sitting just above the water line, jumping from rock to rock. I returned a few days later with a bucket and a net, and set about the task of trying to catch a few of them, so i could bring them back to the lab to understand how they jump. You see the thing is that most Slaters will have ten or more legs, so the thought occurred to me that it must be super hard to co-ordinate all ten legs at once to power the jump. I had just published a paper on jumping froghoppers and leaf hoppers in the Royal society interface and they used only their back two legs. Though notice, the front of the body is also catapulted up to help propel body, so lots more to be answered. How good it is at targeting and landing the jumps? Can it control distance, if so how? Do the legs contribute more than the body to the jump? Be fun to figure it out. The image here is of a leafhopper. 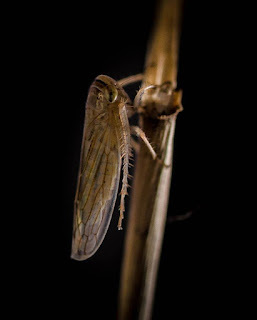 These leafhopper and their close relatives the froghoppers are capable of amazing jumping feats. Philaenus frog-hoppers have relatively short hind legs (66% of the body length), are able to accelerate in less than 1 ms to take-off velocities of up to 4.7 m s−1, when jumping from high-density foam. In comparison, Aphrodes leafhoppers (pictured here) have longer hind legs (84% of the body length), take longer (4.4 ms) to accelerate and achieve take-off velocities of up to 2.9 m s−1 on high-density foam. On a rough substrate such as foam, spines or claws on the hind legs may be able to grip, but they may not be able to engage with smooth surfaces, like glass. Their take-off angle α = tan−1(Fnormal/Fshear) = tan−1(1/μ) is limited by the friction coefficient μ (Amontons' law of friction: Fshear = μ Fnormal, where Fshear is the force parallel to the surface and Fnormal the load normal to the surface). Friction coefficients μ for rigid, dry surfaces are typically less than 1. Assuming μ = 0.35 (like we measured for beetle claws on glass), insects could only jump upward with steep take-off angles α > 70°. 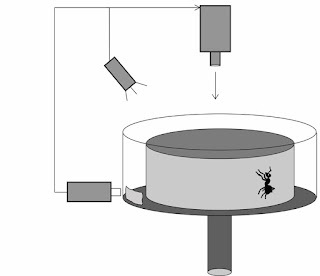 To jump forward, insects require significantly higher friction coefficients (μ). So how do they do it? We tested this idea and it turn out, some insects can, but some can't. Watch this video of the shorter legged froghoppers, with their higher acceleration trying to jump from glass. That froghopper is getting nowhere quick. Its legs slip and cause it to spin, forward uncontrollable (and hilariously) at a high angle predicted by our model. But froghoppers can jump from glass. And they do so using these soft adhesive pads, which were different to those seen in other insects we looked at. Furthermore, when we tried to test the pads to see how much friction they can create (see our method below), the forces were too low to account for their take off velocity and angle. This was puzzling since we really couldn't explain the final jump velocity, and the forces the leafhoppers were producing on glass were too low to produce the observed take-off velocity. One day i was sitting in the lab explaining the problem to my then supervisor Walter Federle in his lab, in the old Cavendish laboratories at Cambridge, and he asked me to show his how the experiment ran. We went through a few trials, and we were both perplex as to where the forces were coming from, was there something wrong with our system? When testing the force, we like to move the glass plate to a new spot each time so we don't get a build up of adhesive fluid, which lowers adhesion (a whole different study!) - so i manually changed some settings to move it to a clean sections. Yet I must have changed the wrong setting since the plate moved much faster than i anticipated. Normally we used quite slow speeds, cause the whole setup, including our poor tethered insects, is quite fragile, and the robotic arm could easily crush it all (as work with the occasional undergrad student has taught me). But this time sometime peculiar happened. The force we got back we much high, much much higher. We performed some quick back of the envelope calculations (though should now be called on the paper towel calculations - since nobody has envelopes lying around anymore) - and they were high enough to explain the jumps we had seen before. More over the contact area of these weird pads went from looking like this during a slide. So we had solved our problem, and in doing so discovered that these new pads were actually velocity dependent. In other words the amount of friction produced increases with the speed at which they are sliding across the surface. Very important if you want to avoid slipping while jumping from smooth surfaces. I am interested in the relationship between form, function and ecology of living and extinct animals. My earliest studies examined the relationship between vision and ecology in spiders. Later, at the University of Western Australia, I switched my focus to the evolution of locomotion. I studied morphology, metabolic rates and biomechanics and compared these to ecological characteristics and locomotory ability in a large group of lizards, the varanids. I have similarly studied these traits in other lizard groups, including an extensive project examining the evolution of bipedalism in dragon lizards, showing lizards were essentially popping a wheelie. I latter continued my research at the University of Cambridge, focusing on insect adhesion, examining the multitude of solutions insects have developed to overcome the problems of sticking to smooth surfaces. At Harvard University I examined the vertebrate muscle system, specifically how muscle mechanics integrate with the environment dynamically, during locomotion. My current research at the University of Queensland continues my research into lizard locomotion, with a focus on the design of biologically inspired climbing robots.